Prices are shown in GBP. 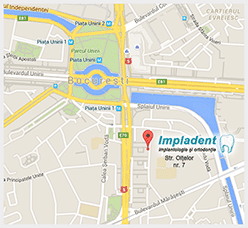 All major credit cards are accepted at our dental implant clinic without extra charge: Visa, Maestro, MasterCard The clinic charges the patient’s card in Romanian Leu using the daily sell market rate set out by the National Bank rate on the day. For payments using a credit card, please ensure that you have sufficient funds and please bring your credit card with you when you attend the appointment. Special journeys for bank visits will be charged for. All patients should also take their passports to the surgery as a form of ID.